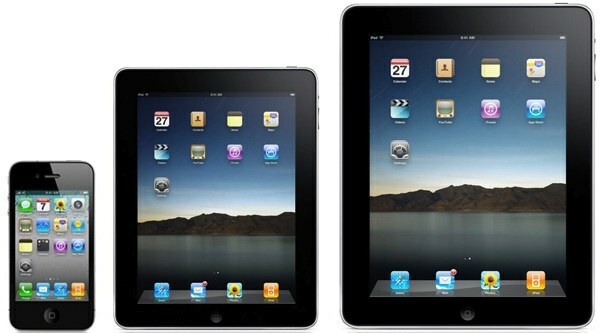 Steve Jobs and Apple shocked the world when the iPad arrived priced at $499 back in 2010. This year’s $399 iPad 2 all but locked out the competition. Until, that is, Google’s $199 Nexus 7 — the Amazon Kindle Fire really is little more than a glorified ereader — which is a quality product outside of Apple’s price umbrella. What’s that? A price umbrella is the coverage a market leader provides competitors by establishing a premium price. That is, no one could reasonably expect to sell a tablet for more than $499 after 2010, but design, manufacturing and component costs prevented anyone from delivering an attractive lower-priced competitor until the Google Nexus 7. With that cat out of the bag, here’s the precise reason why an iPad mini makes sense and is perhaps inevitable. 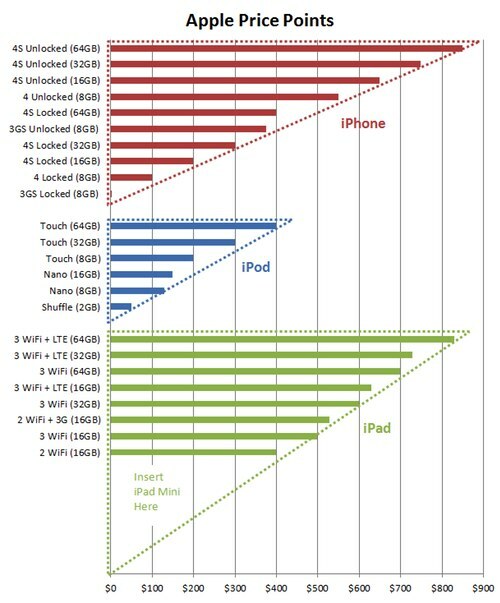 Add in the rumored 4-inch iPod touch and there’s exactly zero oxygen left in the handheld and tablet market segments. Apple owned the media player (a.k.a. iPod) market with that strategy and has extended its reach, profits and market share in smartphones by offering previous generation iPhones at a discount. And, the Cupertino kids are gonna do it again in tablets with the 7-inch iPad mini.